Israel and Hezbollah have been adversaries for decades now, dating back to the Jewish state’s involvement in the Lebanese civil war. However, bolstered by the military and financial support of its Iranian patron, the Lebanese terror group now poses a threat to Israel unlike anything the Jewish state has seen in recent history. A new report from the Jewish Institute for National Security of America’s (JINSA) Hybrid Warfare Task force, headed by several retired senior U.S. military officials, outlined this striking strategic threat to Israel, as well as the operational and legal challenges the country will most likely face in its next war with Hezbollah. “Changes in the strategic environment in the 12 years since the last Israeli-Hezbollah conflict will translate into unparalleled death and destruction,” the report said, noting that Hezbollah’s recent fighting experience in Syria, its support from Iran and its massive weapons arsenal pose a “quantum leap” in the terror group’s ability to inflict devastation on Israel. “Today, Hezbollah possesses more firepower than 95 percent of the world’s conventional militaries, and more rockets and missiles than all European NATO members combined,” the report stated. Various estimates put Hezbollah’s overall rocket and missile stockpiles at between 120,000 to 140,000—up from roughly 10,000 in the last conflict in 2006. While the vast majority comprises inaccurate short-range rockets, the terror group also has several thousand medium-range rockets and several hundred precision long-range missiles capable of striking targets throughout all of Israel. At the same time, Hezbollah has also bolstered its fighting force from 13,000 fighters in 2006 to a current 25,000 active-duty members, in addition to 20,000 to 30,000 reserve fighters. “Hezbollah has emplaced this expanded rocket and missile arsenal within and around civilian infrastructure, including apartment blocs, hospitals, schools and mosques, in the hopes of deterring and defending against IDF airstrikes, and courting civilian casualties it can hypocritically and disingenuously blame on Israel,” the report said. One of the authors of the report, Lt. Gen. (Ret.) Michael S. Tucker, who formerly served as Commanding General of the First United States Army from 2013 until 2016, and who made his first visit to Israel as part of the fact-finding mission for the report, told JNS that he acquired a real appreciation for the threats that Israel faces in the north. Tucker said he hopes the report will prod the international community into action. “This report should be a wake-up call to the international community that this is a real threat and the potential for this conflict to turn into a large-scale war unlike we have seen yet,” he said. Col. (Ret.) Marc Warren, who served as U.S. Army Judge Advocate General’s Corps and as the senior legal officer for Multi-National Forces Iraq, and who now is co-chair of Jenner & Block, LLP’s Aviation and Aerospace Practice, also made his first trip to Israel for purposes of the report. He told JNS that he was struck by the size and scope of the threat Israel faces. Despite the tens of thousands of Hezbollah rockets that Israel faces, the report acknowledges that it still remains unlikely that the terror group could inflict a strategic military defeat on the Israel Defense Forces—one of the most well-trained, well-armed and highly capable militaries in the world. Instead, the report notes that Hezbollah’s objective will be the “political defeat” of Israel by weaponizing information and international law to its advantage. “By illegally exposing civilians to harm, manipulating the narrative and exploiting misperceptions about the laws of war, Hezbollah will seek to portray Israel as an arbitrary, immoral and illegal murderer of civilians,” the report stated. “Hezbollah will hope to survive to fight another day while delegitimizing Israel in the eyes of the world before the IDF can achieve decisive victory,” the report said. Warren said that Hezbollah has intentionally placed the civilian population of Lebanon in harm’s way with the intent of forcing Israel to create massive civilian casualties and turn public opinion against them. “It is Hezbollah that mixes missiles, rockets and mortars with civilians. It is Hezbollah who builds these villas in southern Lebanon adjacent to Israel that are way out of proportion for the area. They are built for the purpose of creating defensible positions; they are interconnected with tunnels. Fighters have batteries, missiles and rockets stored there,” he said. While Warren recognized that terror groups have longed misused protected places, such as hospitals and mosques to mask their forces, he said Hezbollah is taking this to a new level of perversity. As such, Hezbollah can twist the narrative to present Israel as the real enemy. “Thus, you create civilians causalities, and the adversary is able to twist the traditional principles of the law of war—most specifically, discrimination and proportionality—and say to the international media and community, ‘Look at what Israel did here; they killed these civilians here, how awful is that.’ So Israel is in a strict liability position,” Warren said. At the same time, Warren also noted that past measures the IDF has used in conflicts in Gaza to warn the civilian population ahead of airstrikes, such as text messages, leaflets and the so-called “knock on the roof,” will likely not be available to the Israelis against Hezbollah. Instead, Warren says the next war with Hezbollah will more closely resemble conventional warfare between two states, albeit with one side not adhering to international law. Warren added that the key part of the report is to prepare the international community for what to expect in this conflict. “The key part is to prepare people for the idea that while Israel will adhere to the laws of war, that some of the extraordinary cautionary measures that people have become accustomed to seeing may not be feasible in this war,” he said. In recent weeks, Israel has sounded the alarm over Hezbollah’s buildup in southern Lebanon and its blatant use of embedding its military capabilities within the civilian population. In late October, the IDF exposed a new Hezbollah forward position on the Lebanese-Israeli border that was disguised as a structure used by environmental-protection activists. “This is a breach of the United Nations Security Council Resolution 1701,” the officer said, in reference to a resolution that bans armed forces other than the official Lebanese Armed Forces from being deployed in southern Lebanon. The new intelligence-gathering post is part of “Hezbollah’s tactical military activities in south Lebanon that are being conducted in the last few years,” the officer stated. “What we’ve seen … is Hezbollah using the civilian front and working in civilian uniforms in south Lebanon in order to act in the region with impunity,” he added. 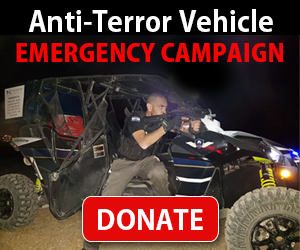 “We see them gathering intelligence on IDF activity, watching Israeli communities close to the Blue Line, which is the border between Israel and Lebanon—preparing for attacks against the IDF and against Israeli civilians in the Galilee,” the officer said. Tucker expressed dismay over the current response by the international community, especially the U.N. Security Council, which oversees the peacekeeping forces in southern Lebanon, UNIFIL, tasked with enforcing the disarmament of Hezbollah under Security Council resolution 1701. “The methodology they [Hezbollah] use to combat the IDF—using human shields, using protective places for military purposes—there needs to be a greater level of situational awareness in the international community to that. To raise questions to the U.N. and to the entire UNIFIL program in southern Lebanon. 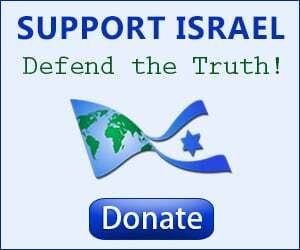 As such, Tucker believes that Israel needs to continue to sound the alarm on Hezbollah to the international community, while also continuing to build regional and international coalitions that will support the Jewish state in the next conflict. 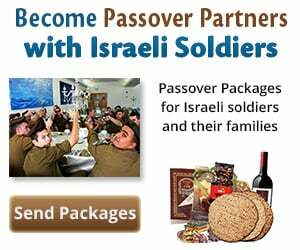 Keep Israel Soldiers Warm this Winter - Send Care Packages! We are honored to thank the young men and women of the IDF who risk their lives every day to protect and defend the citizens of Israel. Join us in sending winter care packages (and personal notes of support) to Israeli soldiers who are out in the cold all day long. Warm up a soldier's heart with essential winter wear including a fleece jacket, hat, gloves and neck warmer. Keep an entire unit warm by ordering 10 packages! The soldiers greatly appreciate your love and concern. Send a gift and write your personal message to a soldier today!